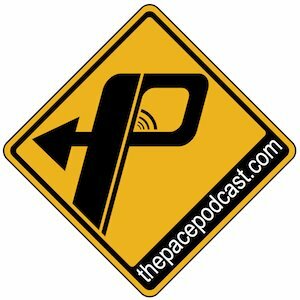 The guys over at The Pace Podcast – Chris & James – have kicked off their first photo bonus rally, the 2013 Equinox to Equinox. Do you like to ride your motorcycle? Do you like taking pictures of stuff? Well you know what? This rally just might be for you. It is a loose, honor system photo bonus rally. Register yourself with the guys, get a rider number and then ride around and collect photo bonuses. That is simply taking a picture of your motorcycle and your rally flag in front of the items on the bonus list. Piece o’ cake. Or, nerdy motorcycle riders with a camera and an email account. The Rally will run from midnight eastern daylight time on March 20th 2013 until 11:59pm eastern daylight time on September 22nd 2013. Don’t say you don’t have time. We’re talking about two entire seasons to collect bonuses! The bonus list is now available. The Rally page has a listing of bonuses for you to collect that can be found just about anywhere. 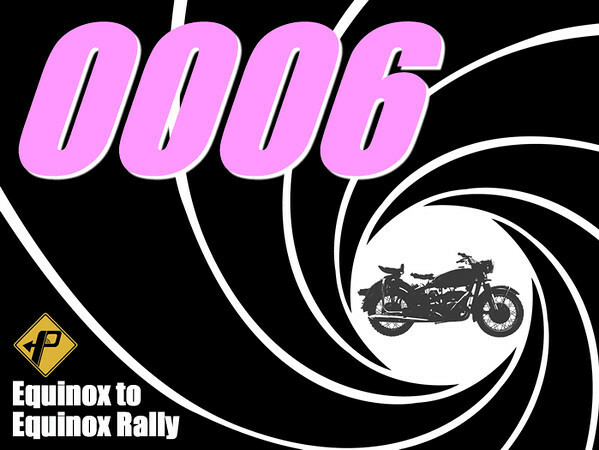 There may be some prizes involved but you’ll have to follow the Rally page for info on that. Rider Triple-0 6, reporting for duty. I am intrigued. I think I may have to do this…….. I am in! This will be FUN! #0059 – I told them Fuzzy sent me!! I hope you have a great time doing the rally. Okay, I signed up still waiting on a number.. There are a lot of the bonuses nearby me… No excuses I guess.. I hope they post a roster of rally participants so we can have links to their blogs in one place. I’d like to see what kind of bonii everyone is finding! I am in! Going to register right now. Bike is still undercover in garage on life support. And You allready have more photos entered than I am likey to get all season. Oh, that stinks, Dave- sending warm wishes your way. It’s all about the ride ~ it sounds corny but if the rally just motivates people to get out and ride, you can put a mark down in the win column. You are absolutely right! Ijust feel luck that my work schedule allows for plenty of riding and the weather in Delaware rarely get cold enough to prevent at least a short ride. Hey Fuzzy! I knew only another E2E rider would get this: I was driving home today and saw a truck the same color as my bike – would it be stalking if I followed them home?? HaHa. I also saw the Oscar Meyer Weiner Mobile!! Talk about your oversized roadside signs. I honked and waved at the driver and wished I was on my motorcycle to get a pic! Oh, you lucky girl! The weinermobile is like a slice of rolling sunshine. I love that thing. Pink Domo is On Patrol!